Full Service Florist. Satisfaction Guaranteed. Jacksonville's oldest family florist. All arrangements created with love and imagination. Serving all hospitals and funeral homes. Gift baskets, exquisite plants, orchids, balloons, fruit baskets, creative floral arrangements and much more. Flowers for all occasions and budgets. See our other website lamaatheflorist.com to see our other arrangements. Full Service Florist. Specializing in weddings, special events, exquisite designs with flowers and plants. Family owned for over 30 years. Delivering to all hospitals and funeral homes. Full service florist. Satisfaction Guaranteed! Family owned and operated since 1927. Specializing in unusual and high style custom designs. Something for everyones taste and budget. Serving all hospitals and funeral homes. 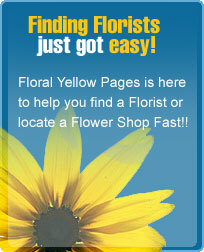 Please view this video Introduction to learn first hand why you should choose us for all your floral needs. Full service florist. Family owned & operated for over 35 yrs. !! If you can imagine it, we can create & design the arrangement. We specialize in custom work & gourmet baskets of all kinds. Something for everyone's taste & budget. Serving all hospitals & funeral homes. Full Service Florist. Satisfaction Guaranteed. Family owned & operated since 1973. Voted best florist in St. Augustine 8 yrs. in a row !! Specializing in unusual and high style custom arrangements. Also serving the 210 corridor. Serving all hospitals & funeral homes. Open 7 days a week. Full service florist, specializing in funeral and everyday floral arrangements. Serving the area for over 11 years. Centrally located near all universities. Full Service Florist. Satisfaction Guaranteed. Family owned and operated since 1986. Specializing in unique custom arrangements. A florist for all occasions!!! Something for everyones taste and budget. Serving all hospitals and funeral homes. Full Service Florist. Satisfaction Guaranteed. Family owned and operated since 1995. Something for everyone's taste and budget. Something from the heart not a menu. Give us a call so you can see why our clients keep coming. Serving all hospitals and funeral homes.